I'm Guest Designing this month for Citrus Twist Kits, here's another layout I made with "Beautiful Life", the June main kit. 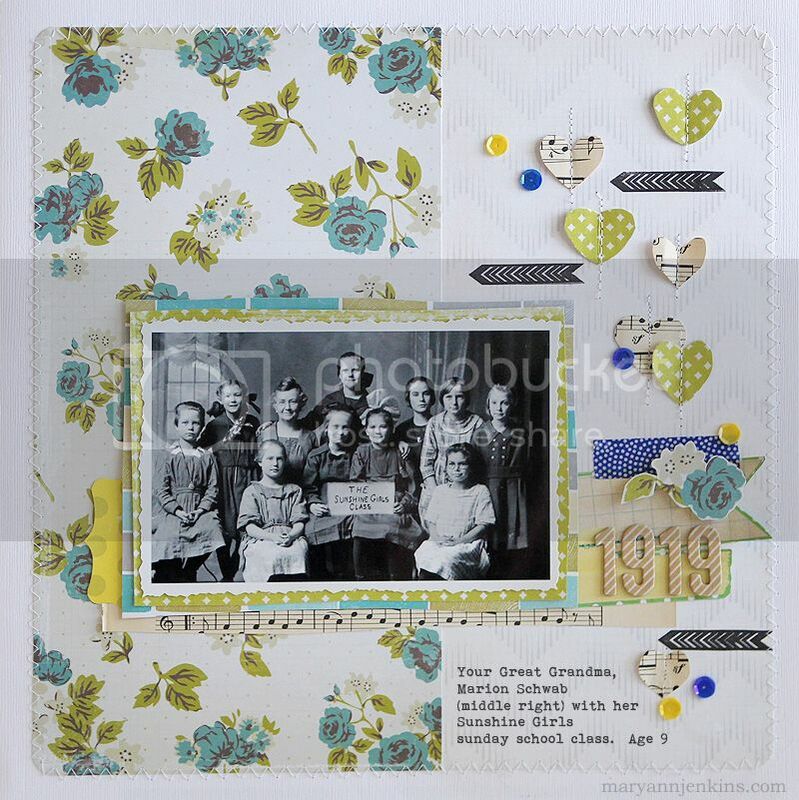 You all know how much I love scrapping old black and white photos ;) As soon as I saw the “Open Road” patterned paper by Crate Paper with those big blue flowers, I knew it would be perfect for a heritage layout! It has that old fashioned but modern look to it. I started with a few layers under my photo, and even snuck in a strip of the sheet music paper from the kit. I punched a few heart shapes, then went back and re-cut the just a small amount off the edge to give them more of a hand cut look. Next it was a bit of machine stitching down the center of the hearts, scattered a few sequins, then added the arrow stamp. To finish it off, the Thicker numbers were added to the banner shapes that were cut from the Studio Calico “Green Acres” paper, along with a fussy cut flower and strip of washi tape to tie it all in. Thanks so much for stopping by, I always appreciate the visit! Beautiful layout and the photo is fantastic! What a great picture ! You made a beautiful layout with it ! 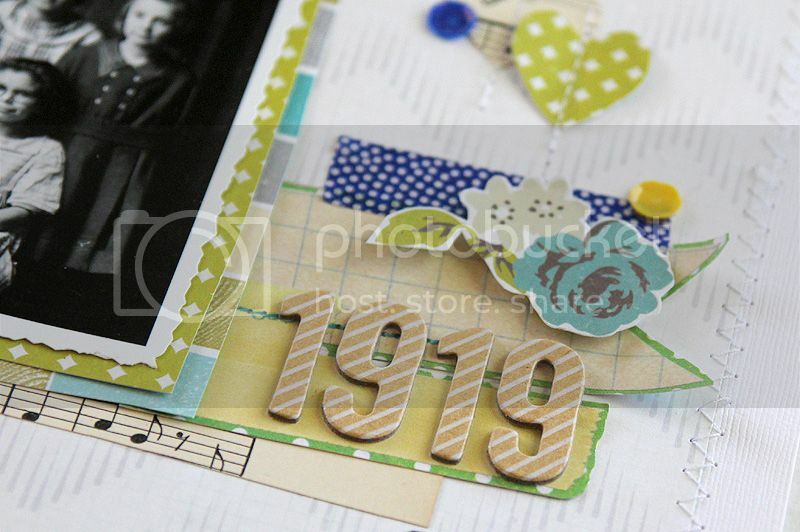 I love how you scrap heritage photos in such a lively way! Beautiful page! Great page! I love that old photo, so beautiful. The stitching details are just lovely. Beautiful! I love how you split the page in half with the pattern paper. Love the stitching too. Beautiful page, love the stitching through the hearts. Congrats on the guest design spot! Love the use of clean and crisp papers to document the heritage photo. It is lovely! 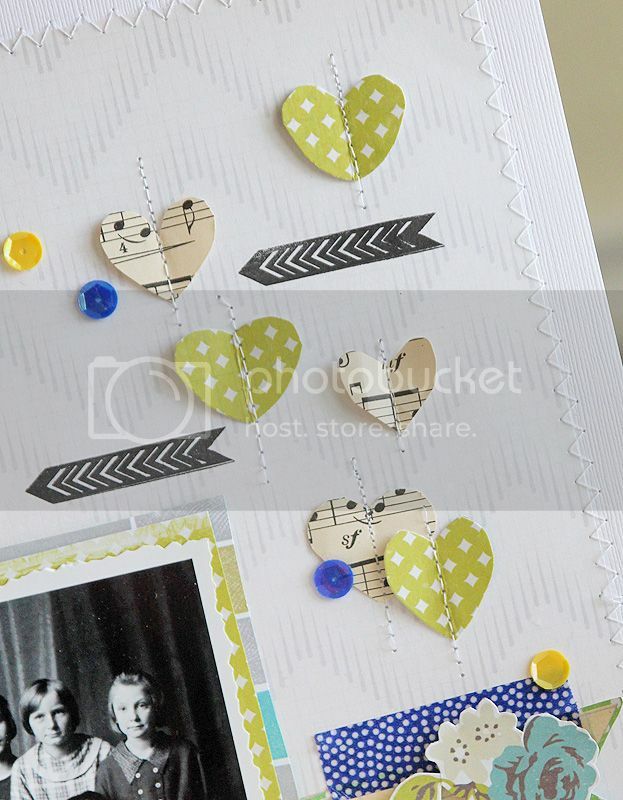 I fell in love with that paper too when I saw the Open Road collection...love what you did with it! Beautiful Mary Ann! I love those Blues and Greens with the b&w photo! !